(Newser) – A newspaper report suggests that Harry Reid exercised improper political clout on behalf of a casino in his home state of Nevada. 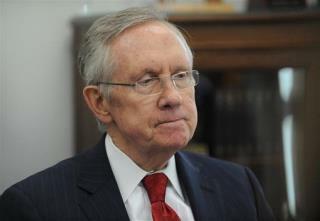 The Washington Times reports that Reid personally intervened when a government agency—the US Citizenship and Immigration Services—rejected a request to speed up visa applications for foreign investors who wanted to help fund the renovation of the SLS Hotel, better known by its former name as the Sahara Casino. He did so despite concerns of "suspicious financial activity" by some of the Asian investors, according to the newspaper. Reid, I hope you get caught ! IF, as the article says, he used the influence of his position to CHANGE (or overturn) a legally arrived at decision then he is guilty of political corruption. Well now. Who knows more about steeling other peoples money than a thief?